It’s not every day that a San Francisco fashion event draws the special breed of stylish male shoppers who probably know the difference between a three-fold versus a four-fold silk grenadine tie or perhaps the finer points of construction of a Goodyear welt wingtip oxford. Scenes from the Men’s Styleforum 10-year anniversary event at the W Hotel. 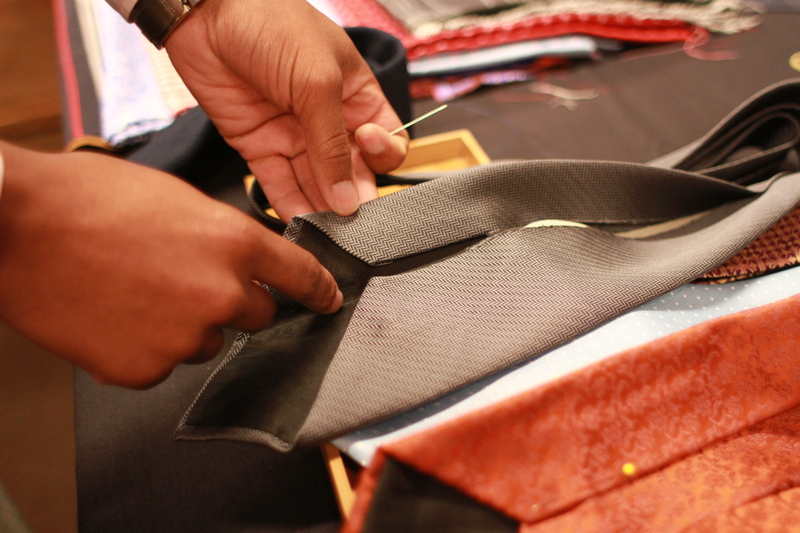 Handmade ties by San Francisco fashion newcomer Louis Walton. All photos by Edric Itchon. But at the premiere fashion showcase last month celebrating the 10th anniversary of Styleforum, an online fashion community for men, more than 300 dapper guests turned out at the W Hotel for bespoke suit fittings, complimentary shoe shines and an opportunity to peruse 15 local and national vendors specializing in quality menswear.